Seacoast Media Group launches a local deals site on June 6th with a sell out deal day one. I was very excited to be the first (deal). I think it's a really cool concept. The first group-buy deal from Limelight Deals launched on Tuesday, June 7, at midnight, while most Seacoast, NH and Maine area residents were sleeping. Those who signed up got their deal alert at 7 a.m. and by 7 p.m., all 500 coupons for Moe's Italian Sandwiches, which could be bought for just a buck, were sold out. And that made Moe's owner Cheryl Pagano very happy. "I've been watching it all day," she said. "I was very excited to be the first (deal). I think it's a really cool concept." That concept is simple. Readers and online users sign up for e-mail alerts at LimelightDeals.com, and the process is similar to Groupon or LivingSocial: After signing up, participants regularly receive offers by e-mail. Deals can be purchased online and the customer takes the coupon they receive to the retailer or restaurant where it is honored. The deals need to have enough buyers to "tip" the deal or have it go active, and the deal is only available for a limited time. There is also a limit on how many of each deal an individual can buy. After the deal ends, those who bought the deal can print out a voucher for the service. Seacoast Media Group Publisher John Tabor also was pleased with the results. "I stopped to see the (Pagano) family today, and they were very happy with the promotion," he said. "We were averaging a Moe a minute in the morning hours. We brought in 500 new customers in one day, which shows how effective SMG can be as a full-service marketing company for your business using our combined print and online capabilities." Seacoast Media Group solicits deals from local restaurants, spas, sports adventures, lodging, car maintenance and other ventures that have proved successful in the online coupon market. Unlike Groupon and LivingSocial, deals come from merchants in the SMG readership area, and from a trusted, local source, Tabor said. Upcoming deals include discounts at Bowl-O-Rama, The Children's Museum of New Hampshire, Green Alliance, Spa Ambiance in Rye and many more. Rachel Forrest, SMG's restaurant critic and author of SMG's Limelight Scoops online newsletter, plays an active role marketing Limelight Deals. Andrew Chernoff, SMG digital sales specialist, will recruit deal partners in the Seacoast business community. "It's a perfect fit for us," Pagano said. "We couldn't be more thrilled, and it's humbling to see that so many have bought it. I think people will love this idea." 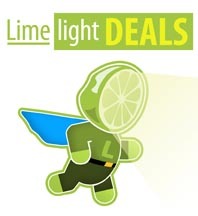 To sign-up for Limelight Deals and never miss a deal visit http://www.LimelightDEALS.com. Dow Jones Local Media Group (http://www.dowjoneslmg.com), operates eight community media groups around the country – including the Seacoast Media Group – that collectively are comprised of 8 daily and 15 weekly newspapers, several lifestyle magazines and other niche publications, and a multitude of affiliated Web sites in seven states.